Our update on new guidance for nurses in Northern Ireland on caring for deceased patients and their families. According to the Registrar General Annual Report 2015 – published in August 2016 – there were 15,548 deaths in Northern Ireland that year, with almost two out of three being people aged 75 or more. Almost half, or 48%, occurred in NHS hospitals, with a further 20% in other hospitals or nursing homes. There are significant differences in what happens after death between Northern Ireland and other countries in the UK. For example, it is common practice in Northern Ireland to hold a wake, where family and friends come together to view the deceased person in their home. There is also an expectation that funerals can be arranged within three or four days following death. In May, the HSC Bereavement Network (HSCBN) published new practice guidelines on caring for the deceased patient and their family. The document was developed in consultation with five health and social care (HSC) trusts in Northern Ireland. Produced for registered nurses and healthcare assistants, its aims include the safe and sensitive care of a body at the time of and after death, ensuring dignity and respect, including meeting cultural and spiritual needs, promoting effective inter-agency working, providing information for families on practical issues, and contributing to the professional development of nursing staff. It has been designed to supplement and inform existing trust policies on the care of deceased patients, including last offices. The document brings together a variety of specific information. It includes preparing for death, what should happen at the time of death, governance and legal issues, care after death, the transfer of the deceased patient from the place of their death, recording care, and the education, training and support of staff. Nursing staff should recognise the value of the role they play, especially in the immediate aftermath of a patient’s death. Leading in co-ordination, they are uniquely placed to ensure that the final acts of care for the deceased and their loved ones uphold the highest standards of nursing practice. The nature and context of the patient’s death – including whether it is sudden or expected, peaceful or traumatic – will determine the level of immediate support and information needed by those who are bereaved. Nursing staff should also make sure they are familiar with statutory and legal requirements. ‘This document places care within the culture and context that we work within in Northern Ireland. 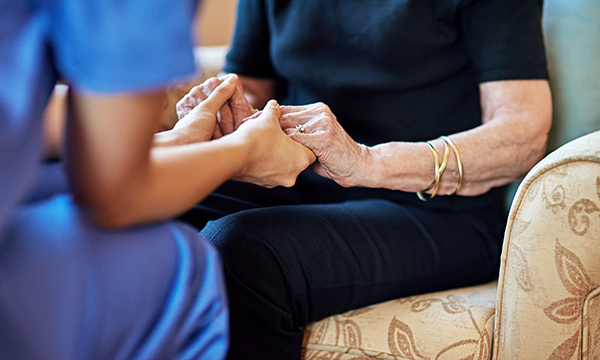 As funerals are expected to take place quickly, nursing staff are key in co-ordinating the practical and statutory obligations. Here the administration and management of death very much takes place within the ward setting. And from death to burial, there is a shorter period to do a lot of important things caringly, safely and effectively.